Did you know that Land 8… lets you customize windows and toolbars? We’re rolling out a section that will really interest you. As you know, the new Land 8 maintains the features of the previous Land (when something works well, why change it?) but they are presented and managed in a much more intuitive way. In the coming weeks we will be showing you these little innovations that make it an even more responsive program. Here we have the first edition for you! Did you know that with Land 8 you can customize windows and toolbars? Land has several windows and toolbars that you can customize. This can be selected by clicking on the right mouse button. When there is more than one window on one side, you can select whether they appear in tabs or stacked. You can reselect by right clicking on the name of a window. – Viewing tools: vertical / horizontal. Thumbnail: Overview of all the elements loaded. Zoom: A close-up of the place indicated by the cursor. And remember: if you want to try out this function, you can download the new Land 8 free here. Did you know that with Land 8 it’s very easy to cut and join tracks to create a solution tailored to your needs? When you want to design a customised outing or holiday and look for tracks in the area, it’s difficult for these to be perfectly adapted to the distances that you want to cover, the points that you want to leave from or arrive at, etc. In this case, the best idea is to join multiple tracks and/or cut them at the point of interest to you. Practical, isn’t it? It’s also very easy with the tools that the new Land 8 makes available to you. 1- Load the 2 tracks you want to mix. 2- Decide the portions of the tracks that you want to keep and those you don’t. 3- Cut the tracks so as to separate the “unwanted” sections. To cut a track simply right-click on the cut point and select “Tools > Cut track here”. So, you’ll have to “Cut track here” at the beginning and end of the sections that you do not want to keep on each of the tracks. Note: Each cut, technically, will generate a new track for you, so you will see new tracks on the data tree. 4- Close the sections of the “unwanted” track. It is best not to close them on the map: i.e. right-click on the stretch of the track on the map and select “File > Close track.” This will load only those track sections that you want to form part of your final track. 5- Go to the main menu and select “Edit > Unify tracks”. You will be asked if you want to join them by proximity or time. In this case, the most advisable course is based on proximity. In this way you’ll have your unified track all ready. Note: You can also decide whether to keep the two parts of the track marked “Section” on the final track. For simplicity’s sake, say no. 6- The unified track may have a starting point that you you do not want. Selecting a new starting point is very simple: just right click on the new starting point and select “Tools > Start point here”. 7- Don’t forget to save the final track! Important: As always, before starting to edit files, you should make a backup, since it’s easy to make a mistake when modifying them. And remember: if you want to try out this function, you can download the new Land 8 free by here. There’s no place for boredom with the Buff Mtb Pro Team. This was demonstrated in 2015 a stellar season for the team, packed with big challenges and excellent results. Now they have everything set to begin 2016 and for another year they will seek to give it their all at the most demanding and prestigious stage-based mountain bike races, and as always accompanied by their Anima+ devices. TwoNav didn’t want to miss out on the chance to continue to support this great team. This year’s team is headed up again by Pau Zamora, serving as both a rider and team manager and supported by the two very accomplished riders Joan Llordella and Antonio Ortiz, with whom he has already competed during previous seasons. This year they are joined by a fourth member Adriá Noguera, the youngest of the squad but boasting a long athletic career and strong results in XCO and marathon events. “Having teammates you are in tune with and you can relate to is vital when you’re on teams of two and pedaling for hours together, at times facing some very trying situations. Your trust in your partner is as important as in your equipment,” Pau explained. 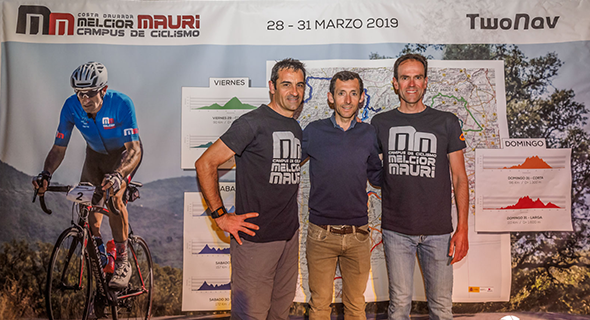 After Orbea Monegros Bike Marathon, TwoNav Empordà BTT Extrem, Cape Epic, Transandes Challenge, Andalusia Bike Race (and currently Transsylvania Epic), The Buff MTB Pro Team will have many other exciting journeys all over the globe. At TwoNav we appreciate their trust in us, and look forward to the start of a new season that promises to be spectacular. Interesting ANT+ technology has made a real splash on the market. More and more devices are featuring it, including some of our TwoNav devices, and practically all athletes hear about it at some point, with many even using it daily. But do you really know what it is and how it works? In this article we are going to clear up all your questions. ANT+ is a wireless communication system designed to render multiple devices interoperable, quickly and easily, while consuming very little power. 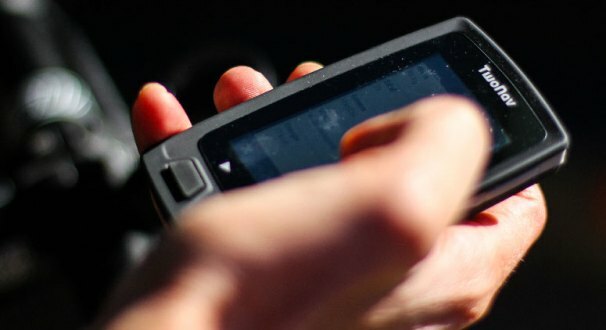 What advantages does its use in a GPS give? – SIGNIFICANTLY REDUCED ENERGY CONSUMPTION. Battery life is one of the factors of greatest concern to GPS users. The battery consumption levels made possible by ANT+ transmission technology are far lower than those of Wi-Fi or Bluetooth systems, fully optimizing battery life. – MULTIPLE CONNECTIONS. ANT+ technology makes it possible to connect more than two devices. For example, a smartphone and a GPS device (obviously both equipped with ANT+ technology) can simultaneously receive information from the same heart rate monitor. – ADEQUATE SCOPE OF TRANSMISSION AND CAPACITY. ANT+ technology’s range of transmission is just a few meters, but this is more than enough for connection to GPS sensors. The same is true of the volume of data that it is capable of transmitting, which although much less than with other technologies, is sufficient for it to work perfectly. What TwoNav devices benefit from ANT+ technology? TwoNav offers this technology on some of its devices. The “premium” model of the Anima, the Anima+, boasts ANT+, making it particularly appealing for cyclists who value having data on their pulse, cadence, speed and power. The Ultra also features ANT+ technology. Do only GPS devices incorporate ANT+ technology? – The TwoNav application for Android can draw upon ANT+ technology in those smartphones that have it. – The TwoNav application for Android – as well as the Ultra – can be connected to potentiometers via ANT+ technology. For a few years now some smartphones have also featured BLE (Bluetooth Low Energy) systems, similar to ANT+. We also allow connection to sensors via BLE and TwoNav for Android. There are sensors with a dual communication system; that means they work with both ANT+ and BLE, and in this way able to communicate with devices that have one system or the other. Our heart rate monitors and cadence meters have this dual system. Adventures when enjoyed with friends, are twice as good. And yet unfortunately we cannot always head out with others, in which case we love to share our tracks! There are currently dozens of platforms dedicated just for this purpose. There are also those whose main function is to allow users to store and organize all the data on their training sessions however they like. Whether we use the former, the latter or both format compatibility is always a concern. TwoNav has its own file format: TRK , but it also boasts the big plus that one can also use BTRK, an extension referring to a unique and fantastic navigation format known as Roadbook. There is no easier and more intuitive system today to follow a track: it features a navigation system that runs all by itself with both visual and acoustic signs all along the way, so users barely have to pay attention to the GPS screen. It also allows you to include all kinds of additional information, like coordinates, photos, videos, descriptions, links and icons for the most significant sites on your routes. Our TwoNav devices, in addition to TRK, also work with almost all the universal formats such as GPX, TCX, PLT and even KML and KMZ. Amongst all these the most widely used is GPX, a format compatible with many other services. Most sports management platforms where you can share tracks support this format. However you may find yourself needing to share tracks that you had previously recorded in TRK. This is no problem because the format conversion can also be done later thanks to our Land software, and in a very simple way: just open the track in Land and, when you save it again choose the formatting option you want, in this case GPX. It´s that simple. The only thing to keep in mind is that this new format will not retain certain information, such as track color or width, although it will conserve the most relevant aspects: such as those recorded by the external sensors (heart rate monitor, cadence sensor, potentiometer), and obviously the path. David Cachón is a professional cyclist in the broadest sense of the term. Passion, expertise, an admirable career and a surprising ability to evolve, have made him a renowned figure in this world. Today he lives by and for cycling , and we are sure that TwoNav’s new ambassador will impress, and have people talking. David Cachón has been riding bikes since as far back as he can remember. Born in Zaragoza 37 years ago, although he still lives there we could say that he has become the rider he is today travelling all over the world, and that he is above all, an adventurer. He began competing in Trial events and was twice crowned world champion in this discipline in both 1997 and 2000. During that stage of his life he also made the Guinness Book for a straight drop on a bike and his results simply couldn’t be better. Then a new modality hit the scene called Freeride, which he fell in love with and adapted his style to. David was drawn to this discipline as it allowed him to employ all his technical skills while – and this is always important for a restless soul like his – continuing to learn, and he was soon going head to head with the world’s best riders. Today he’s still there, at the top, and doing things his very own way, having created a unique style featuring a fusion of Trial, BMX and Freeride, applying it to Enduro and road cycling. To pursue this original project he has stepped away from competition and is exploiting his incredible riding skills in a different way: searching for settings with spectacular scenery, in mountains and cities, to perform his tricks and create the most beautiful pictures possible. And unimaginable ones: the idea is to be creative, to do what no one has thought of before. In a way, it verges on art. “The good thing about these modalities is that not everything is measured by competition,” says David. He stopped competing at around age 26 or 27 when he was still at the top, going against the grain with what was a spontaneous decision. He simply decided to pursue his yearning to travel and discover, and this gave rise to this whole new approach to riding: “At the end of the day, competition is always the same, and in the same place.” In the end it turned out that his sponsors also liked the move – even more even than the excellent results he obtained during his competitive career. Who would have predicted it? By following his heart he had found the perfect way to make his passion his way of life, and he was determined to do it right. After that it was trip after trip and although he says that each one has something special and brings back extraordinary memories, he particularly remembers his trips to Japan, Greece, and his journey last year to Jerusalem and Israel. There are various challenges slated for 2016 though no specific dates yet. The first will be in late January: he will climb a via ferrata in the Aragonian Pyrenees with his bike on his back to access to a path promising a spectacular descent. This will be the first of many adventures he will undertake with his TwoNav, which is “made up of young people eager to try new things, so we are on the same page.” For his specialty both orienteering and planning ahead are essential, so he is bound to make great use of our Anima+ and also our famed Land products. At TwoNav we can say that feeling is mutual as we are really excited about the touch of originality that he is going to bring to the table, and of course we applaud his creativity. He is certainly going to be a very special ambassador.